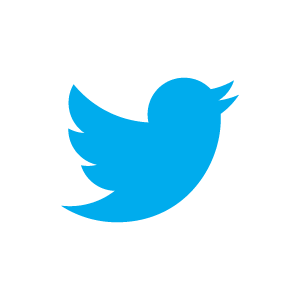 This post is about the What and Why of Twitter. I’ll leave more about the “How” for another day. Thanks to Priscilla Allan (whom I met on Facebook) for asking! I love Twitter. Given the choice between Facebook and Twitter, there is no competition. I once read a really good summary (in 140 characters) of the difference, but can’t find it. The essence is that on Facebook we lose friends we’ve had for years, whereas on Twitter we make friends with people we have never met. Twitter was there for me in the year of earthquake aftershock hell that we in Christchurch lived through, and hope is over. When I was woken in the night with my pulse racing by the bed and room rocking, preceded by the sound of a large truck or train barrelling towards me, Twitter, and all my #eqnz friends were there. When I have something to say, I have an audience. No one may be listening – but sometimes they are. I have become a better and more connected educator as a result of Twitter. And often I just lol at the funny things people tweet. I can imagine much what I just wrote made little sense to the uninitiated, so let me back up a little. For the technical stuff and how Twitter came about, just Google it. Or look at the official Twitter site. To me Twitter is like a river of communication from myriad sources. Anyone can read what anyone writes, in 140 characters or fewer, which is called a Tweet. The river of tweets flows continually, and you use a web application or a phone application to gain access to it. You can use search terms like a fishing net to find any recent tweets about any subject of interest. When you find a person you think is interesting, you click on “Follow”, and from now on anything they tweet will be channelled off automatically to your Home tab. They will also be able to send you a direct message privately. I currently follow 830 people, which gives me a fairly large amount to read. I skim a lot, or just don’t care if I miss something. Often tweets include links, which fortunately are shortened automatically by Twitter so you don’t use up your 140 characters on a really long url. I always tweet when I upload a blogpost. I started out following app developers, as we had just brought out our game app, Rogo, and had met several developers at an iOS barcamp. I also tried to build a customer base for Rogo using Twitter, but it wasn’t successful. I follow some celebrities until they annoy or bore me and then I stop following them. I like to follow QI because it is funny and informative. I follow Jon Winokur ‏ @AdviceToWriters because one day I would like to write something longer and more gripping than a statistics teaching blog. I follow several other bloggers, because what they say interests and inspires me. I follow several news sources because you get the news through Twitter faster than any other way. Sometimes I follow people because I want them to follow me – it often works. I follow some inspirational sites, but generally only for a short time, and then I get bored and unfollow them. I’ve ended up with a rather eclectic mixture, though generally it has left-leaning tendencies as I unfollow people whom I vehemently disagree with. Twitter is delightfully democratic. When I bought a Pilates DVD, I tweeted to @suzannecbowen to say how much I liked the stretching part. And she tweeted back. I love it when people tweet to me, particularly in praise of my blog, videos, app or website. When I post my blog each week, I love seeing that people “Favorite” or “Retweet” my tweet. When they do this it gets the blog out for more people to see. It is good to hear what other people are up to and connect and share ideas. Sometimes a certain time is set aside for a discussion, such as #mathchat. Someone posts a discussion question, and people respond. It can be a bit confusing as the comments pass each other, but also invigorating. Having to concentrate your thoughts into 140 characters is an interesting discipline. Through #mathchat I found some teacher blogs, which are so inspiring. I’ve also had almost heated exchanges with maths teachers about the nature of statistics in relation to mathematics. Sometimes you can attend a conference vicariously through your twitter friends. I’m looking forward to hearing about the NCTM meeting in April, via the twitter stream. One blogger describes Twitter as like being at a party with some of the great minds of education, and just listening in. As educator, get to see new perspectives along with some echos of my own struggles. Also see there is life outside teaching. Also, for both, get to share my interests (and sense of humour) in hope that others find it useful. Teaches being concise too! twitter is a great place to discuss what one is reading. Great way to communicate with people that share my oddities; I have met a few of them in person. Learned lots. Taught some. Mar 8 We submitted our next app for review. AtMyPace: Timeseries. It’s always exciting waiting. We hope people like it. And buy it. Mar 7 Not even the incentive of a Lego minifigure is enough to stop me procrastinating about writing some more questions on graph interpretation. Mar 6 My iPhone was puppy love and my iPad was a fling. But my iPad mini is my soulmate. Mar 2 Billy Connelly on Route 66. Magic! Maybe one day M, J and I will travel Route 66 and I’ll blog, Mark take photos, Jonathan perform. All meetings should move from complexity and confusion to simplicity and action. Leading meetings means finding simplicity. @RogoNic My question is: how can someone really understand statistics without understanding probability and set theory? I don’t see how. @RogoNic I love your blogs and videos. I show them in my stats classes all the time. And you have great things to retweet! In one year, GUNS murdered 35 in Australia, 39 in England and Wales, 194 in Germany, 200 in Canada, and 9,484 in the United States. Oscar: First day of summer. For most that means it’s time to dust off the ol’ grill. Me? I prefer to leave the dust on! I think it’s quite easy to understand statistics without set theory or probability. For example mode and median of (insert data set). Stem & leaf plots. Even models & residuals require neither. To deeply understand something (like if you want to write the book on it) will surely require much more thoroughness than getting the gist of something. I thought someone might pick up on that Tweet. I favorited it to remind me to write about it one day. I admittedly don’t know much about statistics, but does finding the median of a data set or constructing a stem-and-leaf plot really constitute substantial statistical practice? I can show someone how to roughly estimate the area under the curve using a few rectangles, but I wouldn’t suggest they really understood calculus. It strikes me that, in general, statistical claims are inherently claims about probabilities. But I’m no expert; I look forward to more writing about it. And I strongly second Vince’s endorsement of G+. A great community! Enjoyed the post and just thought I’d encourage you to take a look at G+ as well. A lot of what you described I’ve experienced with G+ where there is a huge science and educator community. I wrote a post myself about my use of it http://goo.gl/fvSMV following on from discussions on there with Patrick Honner.